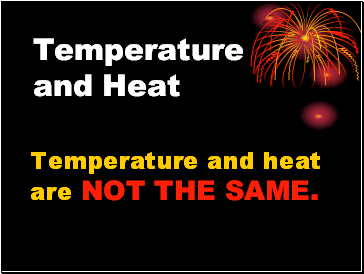 Temperature and Heat Temperature and heat are NOT THE SAME. 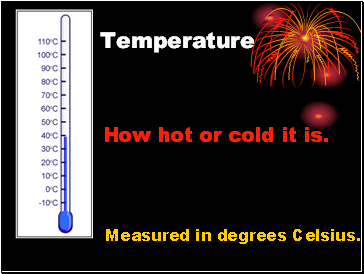 Temperature How hot or cold it is. 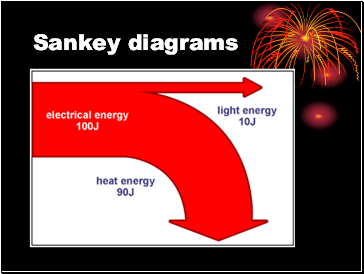 The amount of thermal energy, measured in joules or J. 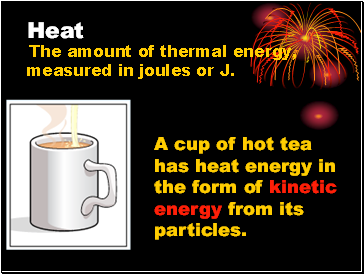 A cup of hot tea has heat energy in the form of kinetic energy from its particles. 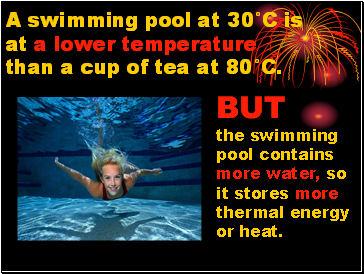 A swimming pool at 30°C is at a lower temperature than a cup of tea at 80°C. the swimming pool contains more water, so it stores more thermal energy or heat. 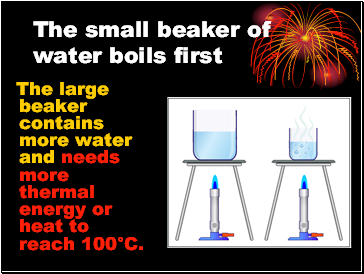 The large beaker contains more water and needs more thermal energy or heat to reach 100°C. 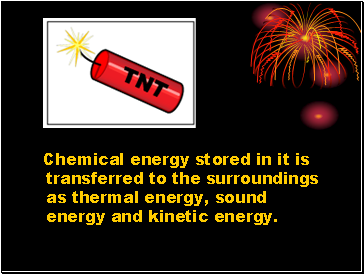 Chemical energy stored in it is transferred to the surroundings as thermal energy, sound energy and kinetic energy. 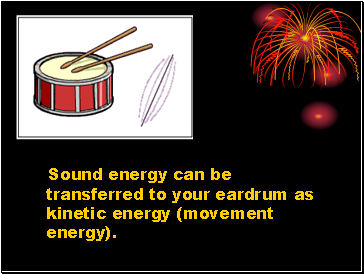 Sound energy can be transferred to your eardrum as kinetic energy (movement energy). 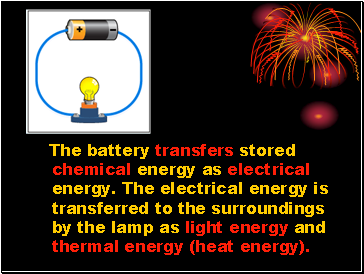 The battery transfers stored chemical energy as electrical energy. 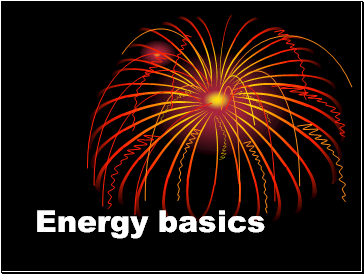 The electrical energy is transferred to the surroundings by the lamp as light energy and thermal energy (heat energy). 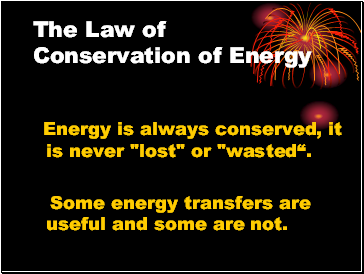 Energy is always conserved, it is never "lost" or "wasted“. 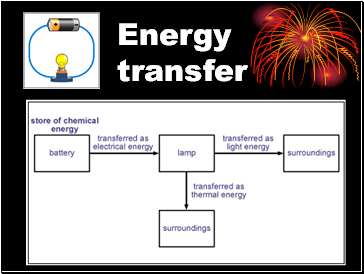 Some energy transfers are useful and some are not.